Increased speed limits on roads across the country over the last 25 years have been responsible for nearly 37,000 lives, according to a study from the Insurance Institute for Highway Safety (IIHS). In 2017 alone, rising speed limits contributed to 1,900 deaths. IIHS analyzed the effect of changes in the maximum posted speed limit in every state from 1993 to 2017. In compiling the statistics, IIHS looked at yearly traffic fatalities per mile traveled for each state and accounting for other factors such as unemployment, number of young drivers ages 16-24, and the seat belt use rate. The results showed that a 5 mph increase in the maximum speed limit was associated with an 8 percent increase in the fatality rate on interstates and freeways since 1993. The study revealed that there were 36,760 more deaths — 13,638 on interstates and freeways — than if maximum speed limits had not changed. Currently, 41 states have maximum speed limits of 70 mph or higher. Six are higher than 80 mph and some Texas roads list speed limits of 85 mph. States have the authority to set maximum speed limits. 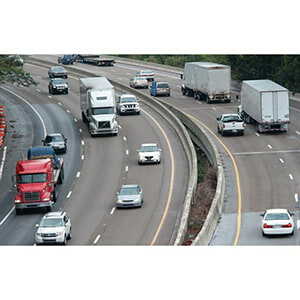 J. J. Keller's Defensive Driving for CMV Drivers: Manage Speed & Space online training course helps drivers develop their defensive driving skills.